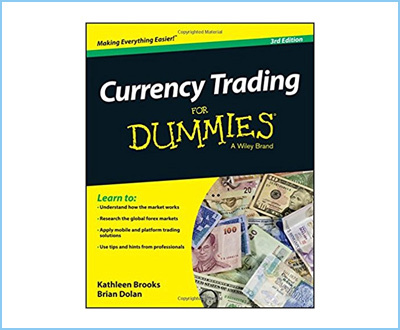 Currency Trading For Dummies truly gets into the heart of the foreign exchange and how this financial market works. We’re going to help you better understand the book’s structure, the major takeaways and why we ultimately think it’s a good option when trading currencies. The main topic of this book is world currencies. 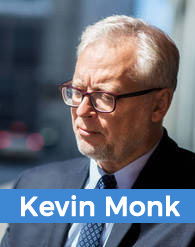 You are going to get an understanding of how world economies work as a result. The book describes the origin of the foreign exchange also. You’ll get a clear overview of why this market developed as an international necessity. It was formed as world economies require a standard when trading with each other. World trade often requires that one nation purchases the currency of another and in order to actually trade with the nation that it now holds the currency off. Check PriceThis financial market can accurately measure countries against each other. The book begins with a simple description of forex, which is helpful for beginners. Brian Dolan is the author of this edition and does a great job following the structural content of “For Dummies” books. Currency Pairs: We learned that currencies aren’t traded as single entities. They are instead sold and bought as pairs. These pairs work on a relative measure, which means that the rise of one currency is the fall of another. Buying one currency is then equal to selling another as is made possible through any listed currency pair. Among popular currency pairs are the EUR/USD, the GBP/EUR and the USD/JPY. How Forex Brokers Work: The book explains that forex brokers only make money through a spread. You don’t pay commissions to these businesses. This lets novice investors enter with low costs. The spread is decided by the difference between the ask and bid prices. These are prices the broker allows account holders to sell or buy currencies at. The difference of these two is what you pay your trading platform. Why Follow News: We learned that news moves the markets in drastic ways. It pays to keep up with what’s going on and how it’s influencing the minds of traders in currencies. Technical Analysis: Technical analysis was explained as the trading you do by looking at charts and indicators. Fundamental Analysis: Fundamental analysis is data you trade with. It’s based on interest rates, inflation and economic activity. We want to now give you an overview of the strengths and weaknesses we read. You can truly learn the currency market by reading this book. This market can be a very confusing option to trade with due to its structure. That structure allows you sell currencies that you don’t even own. Even when you sell, you’re actually buying a currency in the process. Currency Trading For Dummies taught concepts in simple terms. It was structured in a way that presents the most important data first. It then relied on an indexing system. You can return to those terms and definitions after reading. We thought Currency Trading For Dummies could’ve done more with strategy. The latter of the book covers strategies, but we this section could be more compared to the technical analysis of stocks and other markets. Technical data reveals the same patterns, entry and exit points. We also found that the strategies weren’t entirely in-depth. There could’ve been just a bit more examples from a historic view point. There’s enough historic data to convey every trading situation. Consider, however, that this is a beginner’s guide that covers the basics, and you’ll get this much from the author’s thorough work. Being without the basics of the forex structure means you’ll likely to benefit from this edition. It’s a smooth read and has a strong structure that’s easy to follow. The foreign exchange can be a fast-pace market. It helps to get the right knowledge of how it works, and that knowledge is possible through Currency Trading For Dummies.